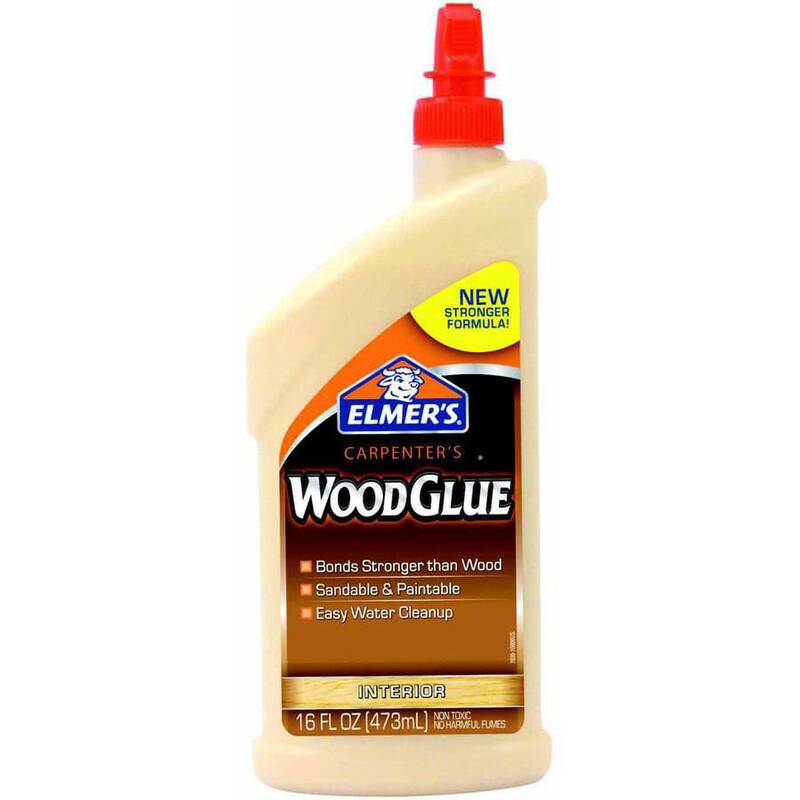 so I recently heard an older gentleman talk about changing rubbers, and he says he always just uses elmer's school glue. is this a common thing to do, or has anyone heard of this before? he's a great player, been playing since the '70s, so it seems like there must be something to it. 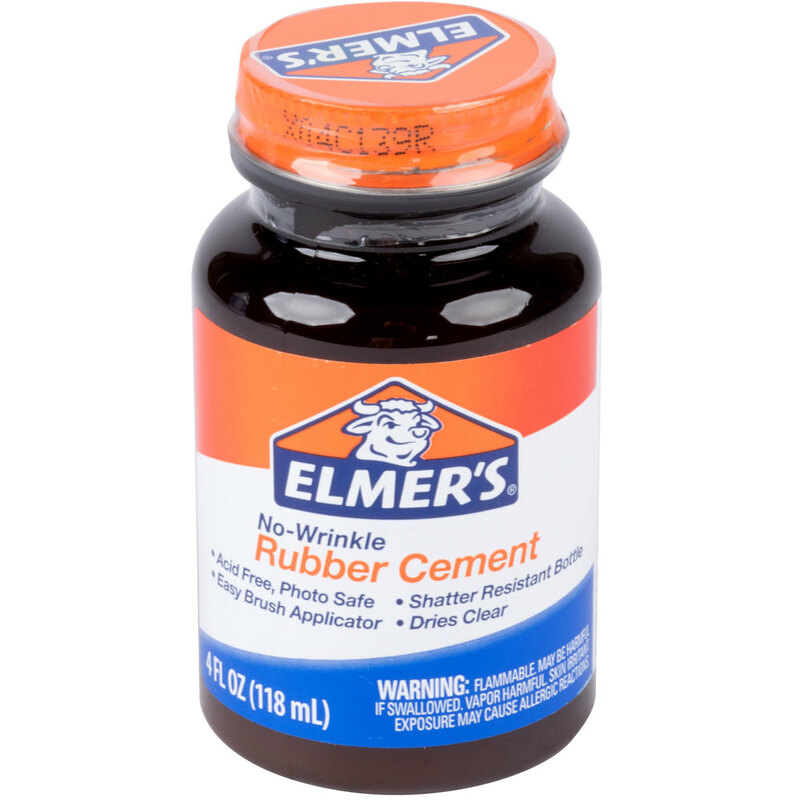 Elmers rubber cement is a common glue for table tennis. It holds well and lets you remove the rubber when you want to change it. It is technically outlawed, (has VOCS) but they go away in a day or two so many people still use it. Good glue for a low price. It is used like contact cement, (DO NOT) use contact cement. Apply to both surfaces, sponge and the blade, let dry and assemble. Line up the rubber by the handle and roll it towards the end of the bat. Then trim with knife or sizzors. He's talking about Elmer's school glue, as in the white stuff, not the rubber cement; the normal white glue does not have VOCs. I use it for all of my paddles, and it worked with normal sponge rubber as well. Just cover the edges of the blade, make a layer as thin as you can, then roll out any extra glue and bubbles. Should work fine, and if you want to ever change rubbers sometime down the road, it will always come off with a damp cloth. It may not be the perfect choice if your blade is not sealed, since some of the other glues have a sheet that you can rub/peel off. Elmer's white glue needs to be moistened to wash off as far as I know, but it works well for me, and for your friend it seems. IMO, it's pretty forgiving to apply since you can roll everything out to perfection as it dries if you make mistakes. Probably because it isn't known as a 'table tennis glue' or sold on table tennis sites, and perhaps many think they are getting some sort of advantage by using a different kind of glue. Using water in the cleanup process might also be a turnoff to some if their blade is unsealed, but I think it's easier than trying to rub, scrape, and peel your glue off. So yeah, if you're so inclined, give it a try! 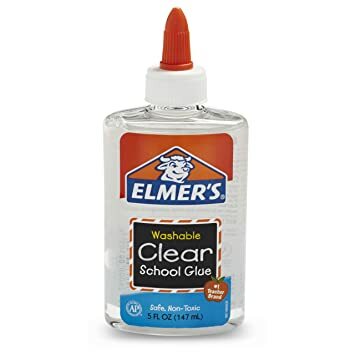 I tried Elmer's clear school glue on 4 different sealed blades and so far the rubbers stick well after 3 weeks playing . I do not know if they are still o.K. in the long term ? 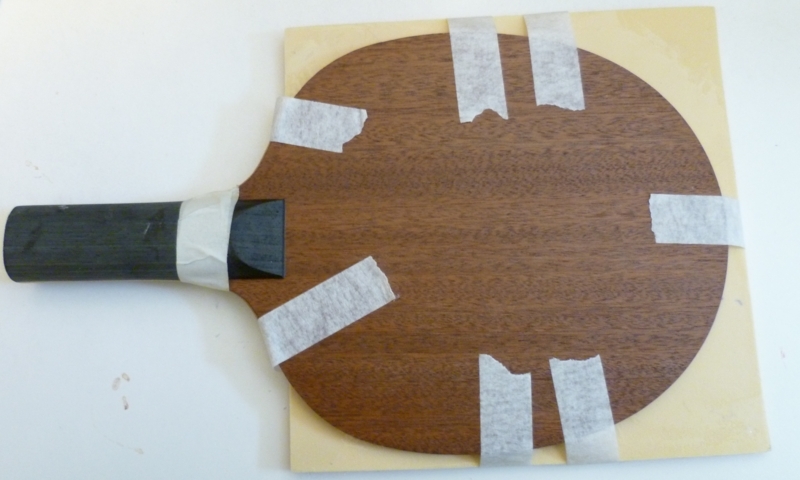 This is time tested, and has been used to assemble table tennis bats for generations. Goes on clean, comes off clean, a lot easier to use than the new water based cements, and a lot faster to use. Last edited by iskandar taib on 29 Jan 2019, 13:35, edited 1 time in total. The clear school glue is better than the white school glue ( i.e no whitish traces around the rubber edge ) . 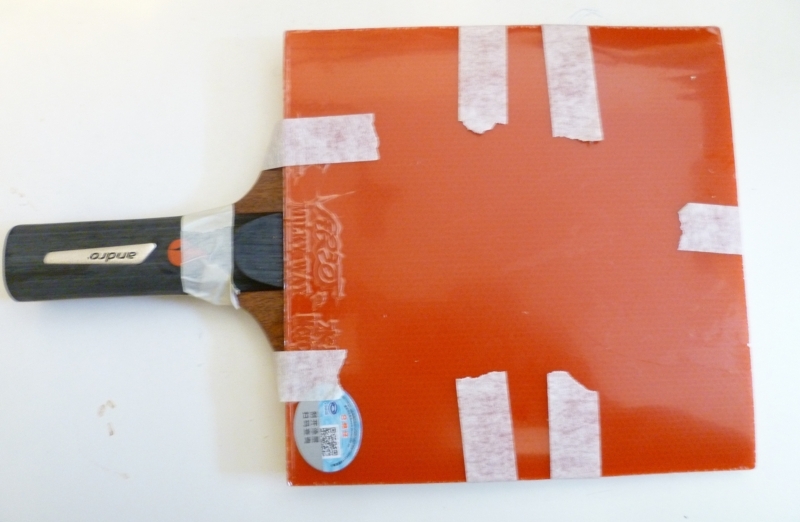 As this glue is water-based , the blade should be sealed with water-proof urethane ( or similar products ) .You can use a piece of rectangular , thin plastic sheet ( i.e. a discarded credit card ...) to spread out the glue on the rubbers & the sealed blade . I think more people don't use the white school glue, not because it isn't effective at holding the rubber to the paddle, but because it's hard to remove from the sponge of the rubber (i theorize, no direct experience). White glue really bites onto porous surfaces and dries hard. Also, the fact that you need water to remove it, is a huge inconvenience and potentially damaging to the blade if it gets on the side of the blade and it's unsealed. RC or Table tennis WBG just require being rubbed off with no water or solvent. Also, I would think that if applied to a sponge, it would seep into the sponge itself and when attempting to remove the glue from the sponge it would destroy it. And doesn't the sponge become harder with dried school glue? RC comes off nicely, sometimes in one piece. Also, with RC there is usually no need to put more glue on the rubber if re-applying it to another blade (just apply to the blade itself). So, to you guys that use school glue, how well does it work for taking the glue off the sponge, and/or re-gluing a previously glued rubber? If you just speculate on water-based Elmer glue , then you are in for a big surprise !! I just removed 2 rubbers ( Yinghe/ Gallaxy Mercury II , using Elmer's clear school glue) from a sealed blade . They came off the blade right away and I could easily peel the glue from the sponge off completely as a thin membrance without any problem . As for the Elmer RC I used before, I have had a hard time removing the RC glue from the sponge ( i.e. rubbing the RC off with bare fingers !! ) . They came off the blade right away and I could easily peel the glue from the sponge off completely as a thin membrance without any problem. Was it soft and rubbery, or a hard layer? Describe how you use it. Do you apply it to both blade and rubber and allow it to dry before pressing together (like a contact cement) or are you applying the rubber while the glue is still wet? I don't see how THAT would work.. no where for the water to evaporate. You need to spread the glue uniformly thin on both the rubber foam & the blade by using a rectangular piece of thin plastic (i.e. a discarded credit card ...) . Let it dry out for 5 minutes ( i.e. becoming dull & tacky) , then press the rubber onto the blade the usual way . You can use a wooden rod ( 1 " diameter ) to roll on the rubber to squeeze out the entrapped air between the rubber & the blade. 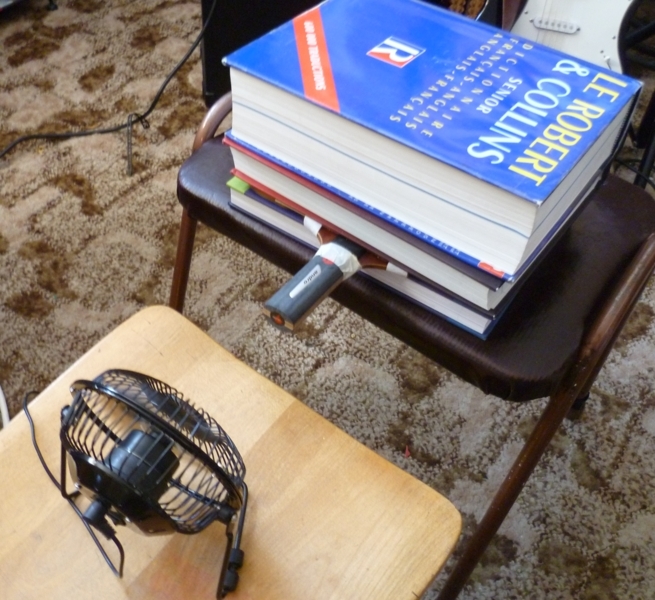 Finally, press down the rubber by putting a few heavy books on top ( about 10. lbs is o.K.) for at least 4 hours then trim the rubber with a sharp scissor. Repeat the procedure with the other rubber . Last edited by tommyngo on 02 Feb 2019, 04:11, edited 6 times in total.